MILITARY aircraft design is largely governed by the requirements which are paramount in air policy at any given time. If the ДальшеMore>>> policy changes, the design of military aircraft changes with it. Hitherto climb and extreme manoeuvrability have been held to be the greatest necessity. 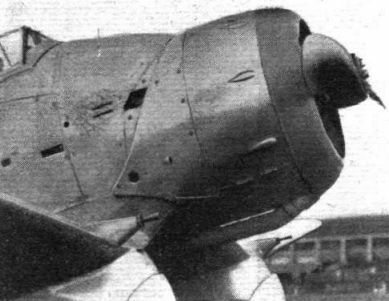 Now that great speed has also become a necessity, several designers have turned to the monoplane type. The latest to do so are the Bristol designers, and our photographs show the results. 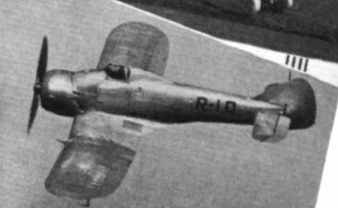 The Bristol single-seater fighter is a low-wing cantilever monoplane of all-metal construction, with stressed-skin covering. The low frontal area is well shown in the front view at the top of the page. Two objects are achieved by giving the wing roots a downward slope. The angle between the upper surface of the wing is less acute, and the distance from wing to ground is reduced, giving short undercarriage legs. A reasonably low landing speed has been retained by using split trailing-edge flaps. Efficiency is the keynote of the new Bristol design. The low frontal area is indicated. Efficiency is the keynote of the new Bristol design. 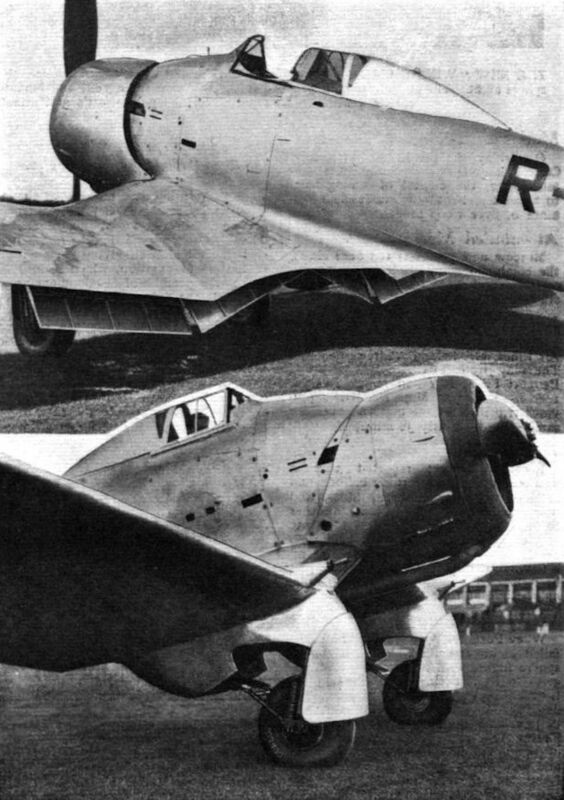 The picture show the split flaps and retractable undercarriage.